WHO IS DRIVING YOUR LIFE? Maybe it's time to hand over the keys to your higher self! This is the best place to start a conversation with your intuition. Casa of John of God. 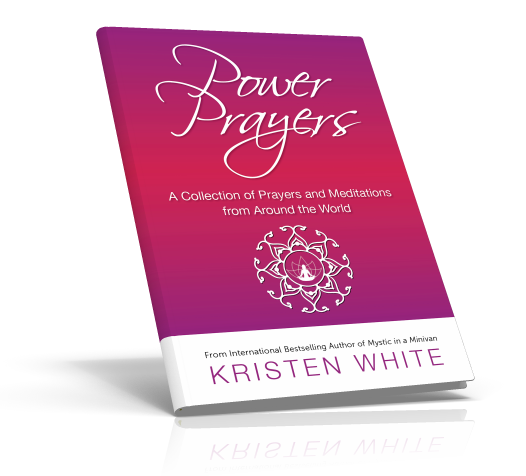 Enter your name and email below to download the ebook, Power Prayers: A Collection of Prayers and Meditations from Around the World. 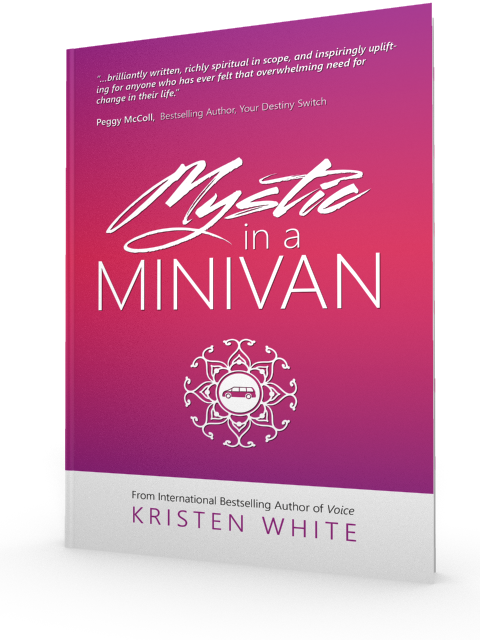 Watch the book trailer video to learn more about Mystic in a Minivan. Rummaging around and around until you finally realize it’s NOT the rash cream you’re really searching for – it’s your identity, the real you that you’ve lost. If you’re not at that point yet, perhaps you spend your days “confused in the carpool line” … or maybe an “empty nest” has left you with an empty self? For many women, it starts soon after getting married, or when the children come along … and before long, that original “you” is not quite as clearly defined. …and realize you can no longer recall what exactly you loved doing as a little girl, what you dreamt of becoming when you grew up … or any of the things that made you giggle with your friends until your stomach hurt. …in her own words, “south of forty, north of skinny” and “addicted to drama, gossip and complaining”. And her children are attending “the” posh school in town. But just how well-crafted IS this world of hers? Jenna’s about to discover that, when you’re living in a house of cards, it doesn’t take much of an ill wind to bring it crashing down around your ears. The fabric of Jenna’s idealistic world slowly begins unraveling – first one small thread, then another … picking up speed as the entire weave lets go, until there is nothing left but the single thread she’s hanging from. And although she’s given the chance to rebuild her life … she’ll have to die first, to do it. Like Jenna, author Kristen White was once on the top of the world: A successful business owner living an idyllic dream life of luxury with her three beautiful children, and husband of 15 years. Yet in the midst of this slide to ruin, Kristen found the strength to begin meditating ... every day. She took ownership of her thoughts, letting go of those no longer serving her highest good … realizing finally that release of the old is necessary, to make room for the new. Not for herself, but in service to others. Because the great power of prayer lies not in calling upon God to help ourselves … but to help others. Over the next year, Kristen lost 50 pounds, her intuitive channels began bursting open … and even as the rest of her life was disintegrating, she began feeling lighter, more joyful, and hopeful ... closer to her True Self. With the help of the ‘angels’ in her life, Jenna is guided into exploring her deeper purpose on an intimate, personal, and painful level … and, finally awakening to her own intuition, discovers an inner guiding light she had previously never known. Like most of us, Jenna has to “find herself” while rooting around in the laundry room, backyard, and garage! …and the life-expanding power of simply being still … being silent ... and being in the Present. So come on and pile into the minivan with Jenna as she hits the road on an uplifting and hilarious journey from materialism to enlightenment … an odyssey of self-discovery and “accidental spiritual growth” as she careens through Life in her search for an end to the daily doldrums. Kristen White is an award-winning business and life coach who specializes in the areas of personal and spiritual growth. 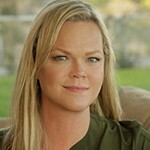 Kristen’s intuitive abilities appeared in her late thirties when she started a daily practice of meditation and prayer. She believes everyone has intuitive skills and that these abilities are dormant until one is able to recognize the language of their soul. In her classes, Kristen teaches individuals how to ignite their intuition and receive messages from the Divine. She also works with individuals privately and in small groups through her popular e-course, IntuitionIgnition.com, and weekend workshops. Kristen hosts a radio/podcast on VividLife.me where she explores the many dimensions of spiritual insight and how to master them. Kristen works with her husband, John Schwab. They are the Mystic in the Minivan and the Suburban Shaman. You can read their love story at IntuitionIgnition.com. They live in the Midwest with four children, three dogs, and two cats. However, they no longer drive a minivan.